At Terabox, clients can join the easiest and most efficient way of bitcoin mining in the cloud. The competitive prices along with the free trial attracts many customers to Terabox to try out their services. Once choosing the cloud mining service provided by Terabox, clients no longer need to worry about the issues that hardware mining can go along with. No tax or custom issues, shipping costs upon equipment purchase, no need to bother with hardware upgrades to keep up with difficulty level. Cloud mining does not make noise or heat and does not require any electricity costs. Clients at Terabox can benefit however all the benefits and earnings that cyptocurrency mining can provide. Terabox offers cloud mining contracts for bitcoin since November 2014. The About section on the Terabox website shows couple of pictures about the mining farm. The mining rigs are nicely organized in a server room, although the equipment itself is not visible on any picture. This mysteriousness follows the company along as there is no background information on the company’s location, owners or founders. The domain registration was done through Privacy Inc – company specialized to value their clients privacy very much. They want to keep their identity as secretly as possible. For a cloud mining company it is very suspicious, if they do not provide company information or at least it cannot be tracked back, on a market where distrust is at a very high level. How can they trust clients to invest in their services if they do not even know who are they paying the bills to? To sign up at Terabox, users need to provide login credentials and their account is created right away. After purchasing hashpower in the cloud based bitcoin mine, the mining rigs start to earn profits to the clients immediately. Customers can later decide whether to keep the earnings on their account or have it reinvested into further hashpower automatically. Terabox guarantees to have the lowest available price compared to its competitors by continuously monitoring the market rates. The live account dashboard show real time results to the clients in a transparent and user friendly way, so customers can be on the top of their earnings all the time. Users are not able to select mining pools at Terabox cloud mining. They justify this by the fact that they developed a software that always choose that mining pool which earns the most, so it is more profitable to the customers. The cloud mining contracts at Terabox are expiring after 5 years term automatically. Before the expiration date, Terabox offers the unique opportunity to sell back contracts to the company. Certain holdback periods are applicable before the purchased contracts can be sold back, depending on the frequency of the payouts. Manual contracts can be sold at anytime, but contracts with weekly payout must wait 60 days and the owners of monthly payout contracts must wait 90 days before these contracts can be sold back to Terabox. At Terabox, clients may refer new customers to sign up for cloud mining services. In exchange, they receive 10% share from the purchased hashpower via the referral program. This 10% is a very high rate compared to the other cloud mining affiliate programs out there. In order to see the fees of the cloud mining contract, users have to register first at Terabox. After registration, users can pay for the cloud mining services. 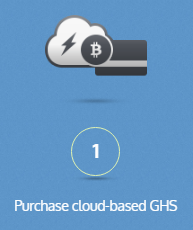 Users can purchase hashpower from 1 GH/s up to even 600 000 GH/s for the bitcoin cloud mining service. The pricing schedule of the plans are based on the payout frequency. The less frequent the payout, the cheaper the cloud mining contract is at Terabox. The bitcoin cloud mining contracts are priced in a range from 0.11BTC to 0.16BTC for each contract that consist of 1000 GH/s mining power. The manual contract costs 0.16 BTC, in this case clients may cash out the earning anytime they wish to do so. The contracts with weekly payout costs 0.14 BTC and the contracts with monthly payout costs 0.11 BTC. Terabox has a nicely built calculator that shows the clients the cost of the cloud mining activity if the desired hashpower is given. 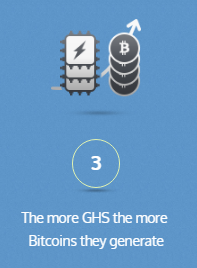 The smallest fraction of mining power available for purchase is 1 GH/s. There are also four different vouchers available at Terabox with predefined amount of hashpowers in the amount of 15 / 100 / 250 / 500 GH/S which can be purchased for the clients themselves or can be given as a gift as well. 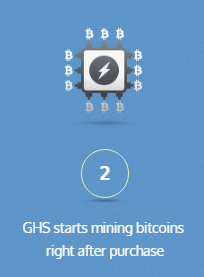 As a special sign up bonus, Terabox offers 2500 GH/s mining power after registration. 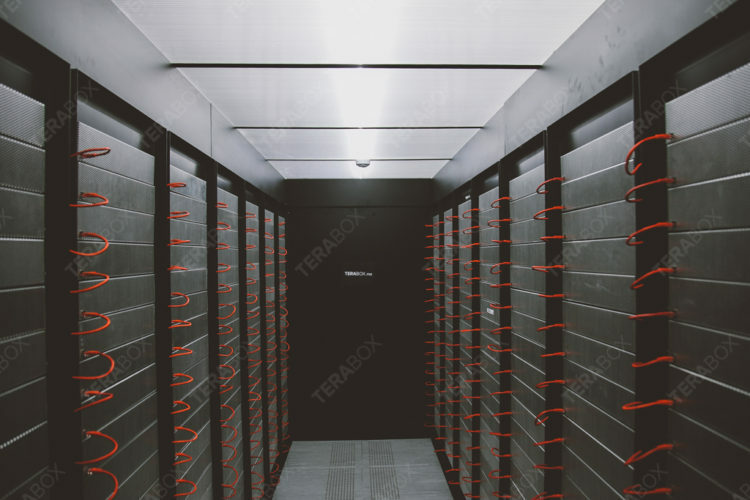 If the new client purchases any amount of hashpower within one week after registration, Terabox allocates an additional 2500 GH/s mining power to boost earnings at the beginning. Terabox offers cloud mining coupons to give new customers one reason more to sign up with them. Terabox is proud of its support team. On the website they promise that the responses to each queries are made within 12 hours and the average answer time is only 1 hour. This is definitely one of the fastest support option available on the market. At least this is what they promise on the website, but in fact there are many user complains online that the support team is not responding to their questions. Also there are couple of unsatisfied clients who were unable to cash out earnings after a certain period of time from their Terabox account. The only social media account that Terabox has is a Twitter account. Even that one is not updated regularly. Although they have 150 followers, there is only one tweet about their launch in 2014. 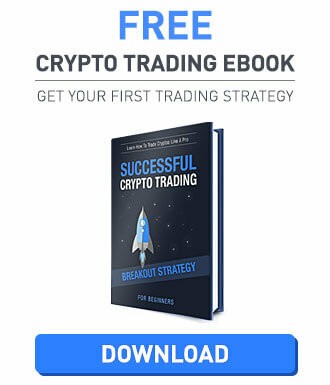 There is no other social media presence about Terabox and they are not online on any bitcoin forum either. The pricing transparency and low fees may attract many customers to Terabox bitcoin cloud mining. The special features like sell back option of contracts and the referral program that is paying high share are definitely something worth considering. However the lack of information on the company background and the missing social media presence can make users doubtful, whether Terabox is a legitimate cloud mining provider at all. Terabox.me never pay me so far but my account is active . Whenever I withdraw btc they said contract to customer service , I wrote tons of email but no response . So be careful before you invest with terabox . these guys are scammers – i invested a small amt and couldn’t use it at all – tried to buy a contract that didn’t work – requested a refund , no response in over 72 hours. I’m surprised it has any stars at all. They he never paid me or any of my friends. Total scam. We Invested money on this pool two weeks ago, we have about 20 referrals and suppose to get 11% commissions on each person we signed up. Deeply Disappointing that this page is still up and running scamming more and more people by the day!!!!!!!!!!!!!!!!!! can you please put some details to your accusations? Scam!!!!! Scam!!! Nicely running website. Only takes ur bitcoins but never pays. No support,No response.Ghost town!!! A great number of issues; here are only a few of my personal experiences with them! They never answer messages to support; over several months I was unable to withdraw any of the coins I mined only received an “unknown error has occurred; contact support” message and I never got a reply to any of my messages to support. A few weeks ago; after seeing they made some minor changes and listed the minimum withdraw limit of .02 BTC, I attempted to pull .5 BTC from my balance to have a little extra cash for Christmas shopping and never got any thing out of them. The manual withdraw went through and I received an on screen confirmation message stating it would be processed with in 24 hours. Though never got any email confirming the withdraw. It still hasn’t even showed in my Coin Base account as a pending transaction; I’ve emailed them over a dozen of times and have not gotten one single reply. They have no transaction history option so you can track your transactions. Steer clear! It’s A scam. 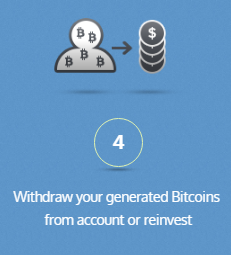 They accept my withdrawal request & also deduct my BTC balance. But there is no transaction hash or withdrawal history on the site.No evidence of my withdrawal. Terabox.me never pay but my account is active . So be careful before invest with terabox.me . Didn’t even recieve confirmation email to verify tried twice with different email same problem. I think it’s a total SCAM ,, I have three different accounts registered on this website with buying many of contracts but nothing got by withdraw , I tried to contact support but they never replied ! I opened an account, sent some BTC into my Account (Not much, just enough to show a transfer)which never arrived in the account, I have been on to contact through the support page, with no response back. Don’t use this site…..
It’s years they’re scamming and they are still there! TTERABOX IS A 100% SCAM!